GI Joe decides to capture a rare crocodile while exploring the Amazon. When the tranquilizers wear off too early it chases him into quicksand! Is this the end for GI Joe? 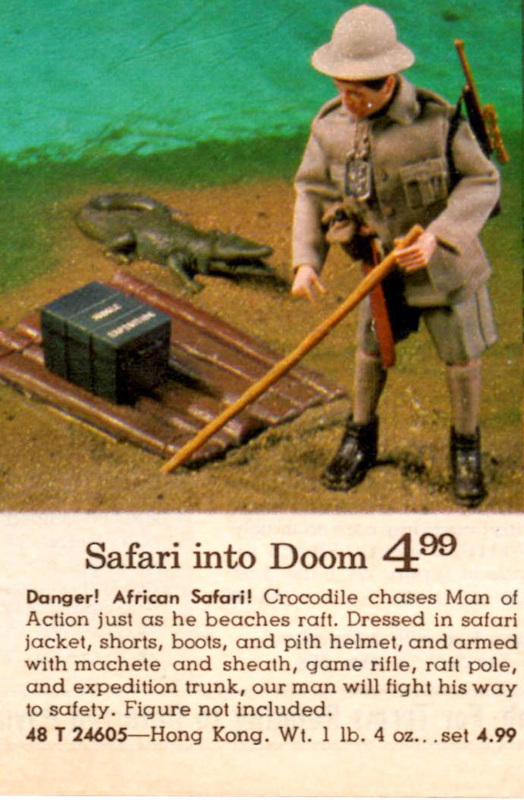 Below, the MOD set renamed "Safari Into Doom" in a 1971 Wards catalog. The set was apparently available for awhile after its 1969 release. The different name is odd; if these were shipped in Backyard patrol bags or plain mailer boxes Wards could have renamed them, but why? Beside the uniform variations mentioned above, there is a rare variant version of the crocodile. Compare the dark green paint color of this one that is molded in orange-red to the one in the Montgomery Ward ad above. It is unclear if this croc came in the 1969 box, or whether it was only available in the early 70s as the Wards ad would seem to indicate. 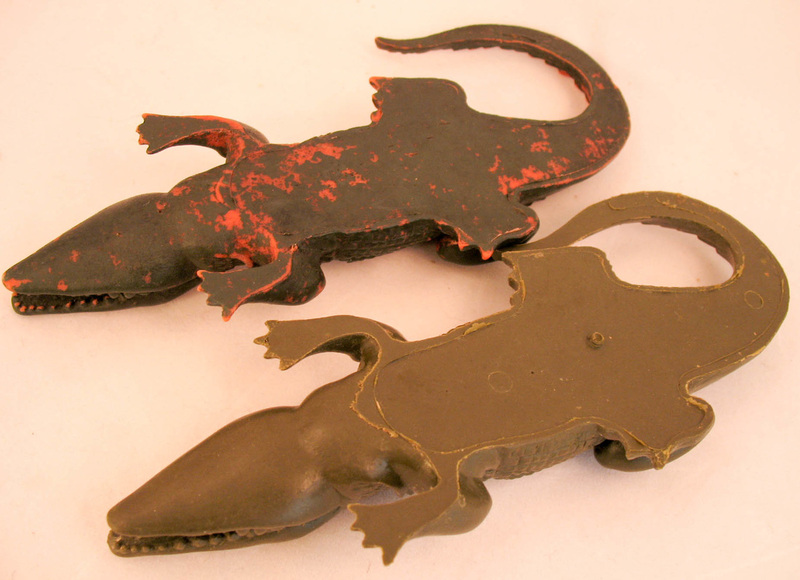 Below, the red croc is compared to the standard issue. Stephen Hassenfeld tells a story of having approved a batch of red crocs, apparently by mistake, during one of his early quality control trips to Hong Kong. This may be from that batch.